The feeling of being “on top of the world” is one of the things in life worth treasuring. 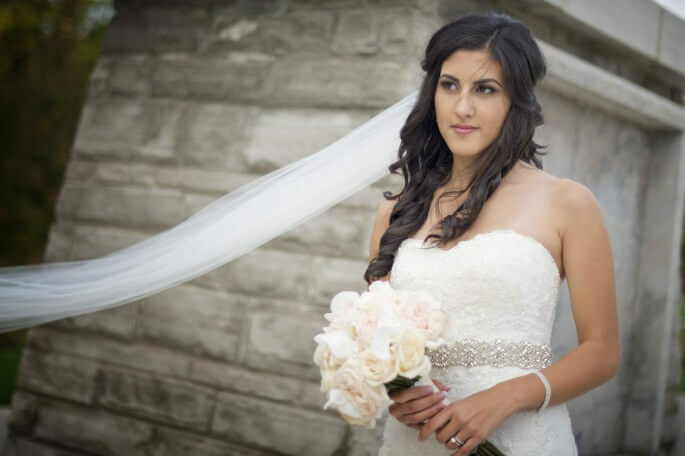 It comes then as no surprise for us here at SDE Weddings, Toronto’s premier wedding videography and cinematography company, to witness Monica & George reach one of life’s proverbial pinnacles, that of their long-awaited Egyptian wedding ceremony. Indeed, the incommensurable feeling of elation and celebration familiar with many of life’s turning points is undoubtedly a lifetime’s treasure unto itself. 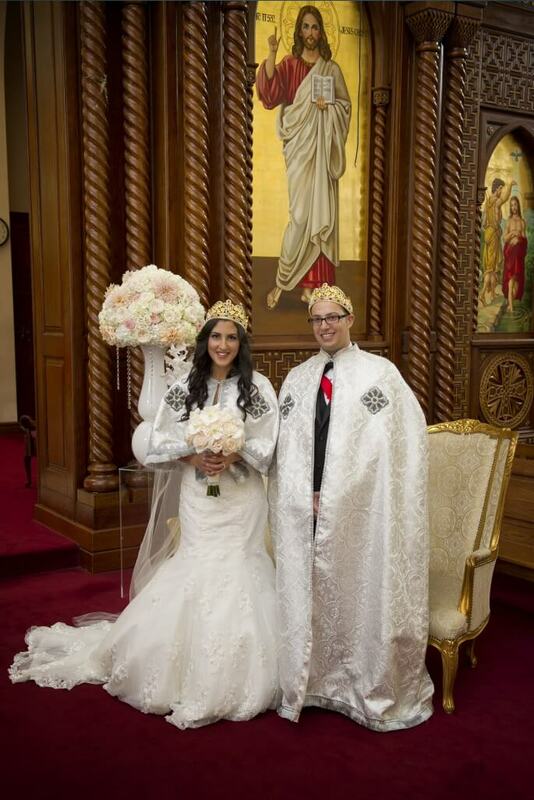 So for our videographers and cinematographers, it was a feeling beyond simple satisfaction when taking part in the capturing and documenting the many memorable moments of Monica & George’s extraordinary day, which took place just this past October 5th, 2014 at Mississauga’s ‘Church of the Virgin Mary and St. Athanasius’, a gorgeous cultural and religious centre for Canada’s Coptic Orthodox community. And to top everything off, a plethora of beautiful scenic sights at ‘The Riverwood Conservancy’ concluding thereafter with an unforgettable wedding reception and celebration set in the ever comfy and highly-regarded ‘Roma’s Hospitality Centre’, Mississauga. With so many stunning sceneries and settings, our videographers and cinematographers had plenty of matrimonial movie-making material to work with, particularly for the Same-Day-Edit our videographers had especially crafted for filming at the highlight of Monica & George’s evening festivities. 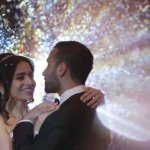 Filming Monica & George’s wedding was also quite interesting videography-wise, as our videographers had ventured in trying out some new and creative ideas for their filming process, some parts of which you can preview in the Same Day Edit Video below. 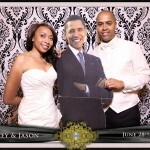 Scroll further as well to learn more about our experience with Monica & George, and this remarkable couples’ remarkable wedding day. Morning preparations were far from standard fare for Monica & George, who our videographers had met up with earlier on for filming of the first moments of their special day. Several particularly interesting shots we took were of Monica and her bridesmaids having an energetic impromptu dance session which is featured in the highlight reel, and to echo a sign made by the bridesmaids specially for the morning, ‘wait till you see her!’. Not to be outdone in overt outlandishness, George and his group of groomsmen had a few interesting shots for our videographers as well, with one that we featured in the highlight reel of the gang in full gentlemanly getup choreographing a synchronized ‘jump’ on the driveway. 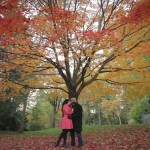 Altogether, bright autumn days we’ve found make for perfect wedding videography conditions. So it was quite perfect for Monica & George that their wedding day weather fell on quite idyllic conditions for our cameras, which we took full advantage of in filming all of morning’s outdoor shots. Come noon-time, we had trailed the spotlight couple to their choice ceremony setting, which was Mississauga’s Canadian Coptic Centre, the site of the ‘Church of the Virgin Mary and St. Athanasius’, a familiar place for George who’s a frequent volunteer in Toronto’s Coptic Christian community. For us, this marks one of a handful of times filming in an Egyptian Wedding Orthodox Christian setting, yet we always find ourselves stunned by the intricate interior architecture of their churches. The ceremony itself was an understandable tearjerker, as a slow walk back down the aisle made for a perfect moment captured, with Monica & George’s proud parents bearing the brightest of smiles that were enough to fill up our lenses. Many of our favorite scenes from the ceremony and a detailed view of the church’s interior can be previewed in the highlight video. With ceremonies complete and the couples’ vows finalized, we made our way to Mississauga’s ‘The Riverwood Conservancy’ for a full two-hour photo and videoshoot. A sentimental walk through the parkwoods path made for quite a memorable moment, which our cinematographers had interspersed with footage of the walk down the aisle; making for an intriguing juxtaposition. Come evening, the wedding party was now off for the long-awaited celebration. 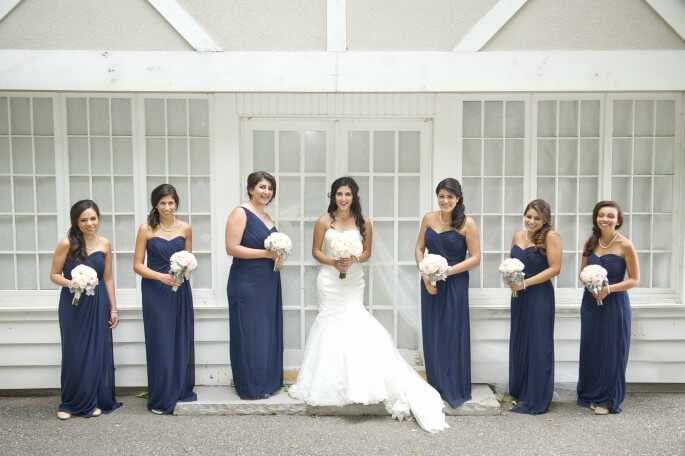 For our first time ever at Mississauga’s award-winning ‘Roma’s Hospitality Centre’, our videographers made sure to get ideal shots of the newlyweds and their entourage’s extravagant entrance. All in all, Monica & George’s evening was an exciting and exhilarating experience, full of song and dance to bring a perfect day to a perfect end. Our videographers and cinematographers were particularly proud of having completed a Same-Day-Edit which was shown at the tail-end of the evening’s celebrations, and was undoubtedly met with applause. 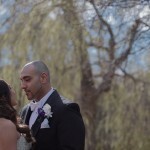 In the end, we here at SDE Weddings, Toronto’s premier wedding videography and cinematography group, were glad to be a part of Monica & George’s wedding day, and happier than ever to help document such a remarkable moment for their lives together. We wish the two all the very best and hope that their wedding day memories spent ‘on top of the world’ will always remind them both to reach for ever greater heights.